In the future the Tea Party movement will call for higher taxes. It will be done in the name of national security. Their beloved Leader, Sarah Palin, will be in the forefront of demanding the increased revenue. She won't call it taxes. She will call it something else—something really stupid. Meanwhile, here in 2010, we see typically petty behavior from the enemies of the heroic Ron Paul. How dare he be a dissenting voice inside the Big Tent of the Republican freak show? How dare he succeed with his book called END THE FED. Doesn't he know that the one thing the Tea Party and town hall movements really support is the federal reserve? Sooner or later the neocons had to deal with Ron Paul. Of course, the neocons never exist when they actually do anything substantive. Only a conspiracy nut would believe otherwise. The neocons are the most lovable objective analysts you will ever meet in a dark alley. Somebody is out to get Ron Paul. The Tea Party that he helped originate has targeted him for political destruction. How ironic if he loses his House seat to a tea party candidate. Sarah Palin speaks for the forces who hijacked an entire political movement from the libertarians. Apparently her appetite for what belongs to others is insatiable. Now the wicked witch of Alaska wants Ron Paul's son. She has endorsed Rand Paul's political ambitions. It makes one want to shrug. Ron Paul was just on the Rachel Maddow show. He was talking about the neocon infiltration of the Tea Party movement. Why should the neocons settle for influence over something as retro as Democrats and Republicans? You never know where to find votes in this day and age. It is not enough that the Tea Party protests were taken away from antiwar libertarians such as Ron Paul and twisted into the thing it is today. The Boston Tea Party was far too radical. Those guys wore disguises. Did they think they were at a WTO summit? Even worse, they were opposing a tax meant to support the troops (Americans had not yet separated from the British Lion back then) in King George's war against terrorism—you know, the French. The Boston Tea Party was opposed to everything represented by today's Tea Party. It wasn't enough that the real libertarians were screwed over yet again by Republicans—the way the republicans in the Spanish Civil War were buggered by Joe Stalin. What do today's libertarians expect in the land of the free lunch? To quote myself being quoted by someone else (thus topping Ayn Rand's self quotes) Kent Hastings in a recent PermaKent blog post said that I am sick of the American debate being put in the form of a conflict between Wall Street and Main Street. With a little research, Kent discovered that the main drag near the Pentagon is Fern Street. Yeah, that's the ticket. Just meet me at the corner of Fern Street and Off Budget. Bring your checkbook. Ron Paul is the bravest politician in America. He has real libertarian principles. As a working politician it is no surprise that he is a minarchist. Some hypocrites who pretend to be anarchists attack Ron Paul for not supporting the War Machine. We are not talking about military defense here. The War Machine needs the planet. When Ron Paul was asked by Maddow what he thought of the Palin support for his son, he tried to shrug it off as just another generic Republican endorsement. He was clearly unhappy. The road to power right now does not lie through Main Street or Wall Street, but Fern Street. Rand Paul may think he's on the road to Galt's Gulch, but Fern Street is more likely to lead him to Project X (for those who remember ATLAS SHRUGGED). If Obama expands the wars he has a second term. If he fails to do this then War Republicans will replace the War Democrats. This has nothing to do with defense or protecting this country from violent psychotics. It has everything to do with expanding a welfare state at home by building a welfare state overseas. 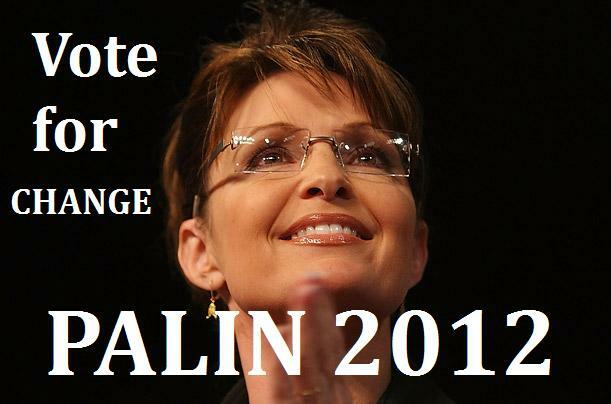 Palmistry, Ms. Palin? Look to your immortal soul. Photo from TimesOnline, with respect. If Ron Paul's son had any loyalty to his father, he would repudiate an endorsement by America's most notorious palm reader (a practice condemned by the Bible). If there are any libertarians left in this country who involve themselves in the political process (i.e. not pure anarchists), they should do everything they can to get Ron Paul reelected against the challenge of his Tea Party opponents. After all, Ron Paul wants to end the War on Drugs and these bastards love that particular crusade almost as much as they love the War on Terror. If we are going to declare war on the entire world and turn ourselves into the new Soviet Union let us finally be honest about it. The great crime is never torture, mayhem and mass murder. The real evil will always be the lies told against honorable men and women who believe the moral rules they were taught in Sunday school. Let us honor Ron Paul as that rarest of Americans: an honest man. At a certain point Ron Paul's tea lost its flavor. Besides, it was cold. He needs to drink something better at those college campuses where the real grass roots movement honors his integrity. There is a legitimate comparison of our current tea parties and a famous example. You know, it's sort of Sarah in Wonderland. The Mad Hatter is putting something in her drink. Give this woman half a chance and she will transform into the Queen of Hearts. Ronald Reagan never expressed a public opinion on Sarah Palin but he did on the author of this piece. Reagan's opinion of Brad Linaweaver can be found in Stories In His Own Hand—The Everyday Wisdom of Ronald Reagan from the Free Press. Mr. Linaweaver honors all the heroes of America's military services as much as he despises armchair ideologues who send them to unnecessary battles.